Where can I store my luggage in Los Angeles? Have you just flown into LA on business but have no time to check into your hotel before your meeting? Are you on a long layover and want to take a look at the famous Hollywood sign without having to drag your luggage up the hill? Whatever the reason, you may have asked yourself: where can I drop my luggage off near me? Worry not, there are different services offering luggage storage as well as luggage lockers at all main points of interest. Stasher is a service that allows you to store your luggage safely and conveniently wherever you are in the city. 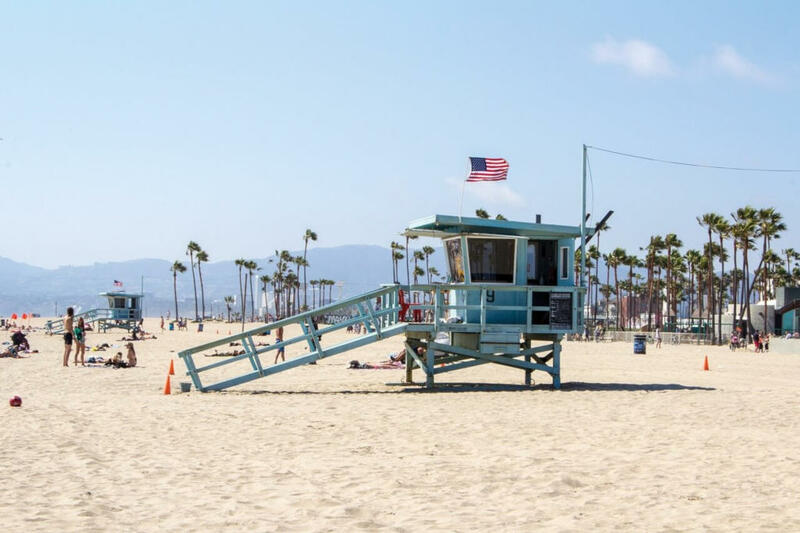 We’ve partnered up with major hotel chains such as Accor Hotels to provide you with a network of hundreds of local businesses that are ready to offer you a place to store your bags in Los Angeles. How much does it cost to store your luggage in Los Angeles? Where are the StashPoints for my luggage in Los Angeles? We’ve handpicked locations close to all the main transport hubs and tourist attractions. Most StashPoints are available 24/7 to accommodate every itinerary. Drop your bags in store and get on and enjoy your day. If you need any help with your booking, don’t hesitate to get in contact with our award-winning customer service team! Here are some alternative options to consider when searching for a place to store your luggage in Los Angeles. Where can I find luggage storage near LAX Airport? There are no left luggage facilities at LAX Airport. Nevertheless, if you’re in the city for a short layover and want to explore without having to drag your luggage, the company Storage will collect your bags outside the airport and return them to you once you’re back for your flight. A non-stop bus service now operates from LAX Station, Van Nuys (San Fernando Valley), and Westwood (West Los Angeles). It ruins every 30 mins and costs about $3 each way for adult. The airport’s proximity to Hollywood Studios makes it an ideal choice for a film location: a scene from Terminator Genesys was shot here. The best place to be during stopovers is the food court in the Bradley terminal. It has the most comfortable seating, most food choices and . Where can I find luggage storage near Los Angeles Union Station? Amtrak offers temporary luggage storage for customers holding tickets. If you are a ticketed passenger then you may store your items in Parcel Check service - but best to check before you bank on this option! $10 per item for 24 hours. The station is a major transportation hub Southern California, moreover Seattle, Chicago and New Orleans are all easily reachable thank to Amtrak. The station is also the hub of the Metrolink commuter trains, and several Metro Rail subway and light rail lines serve it as well. Charles Bukowski 1971 novel Post Office was inspired here. The cheapest way to get from Union Station to Venice is to line 733 costs 1€ - 3€ and takes 1 hour and a half. Where can I find luggage storage near Los Angeles’ museums and art ? Most museums and art galleries in Los Angeles don’t have coat checks or lockers. If you need somewhere to store your bags you might consider some of the other options listed above.